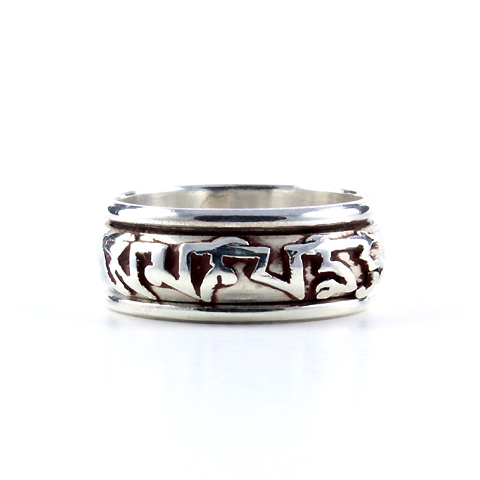 Designed for the enlightened or in the path of enlightenment, this silver Om ring has an inner spinning band meant for prayer and/or meditation. The ring is engraved with the ancient Tibetan mantra "Om Mani Padme Hum" or "hail to the jewel in the lotus". Handmade in Nepal and fairly traded. See more details about this Om ring.